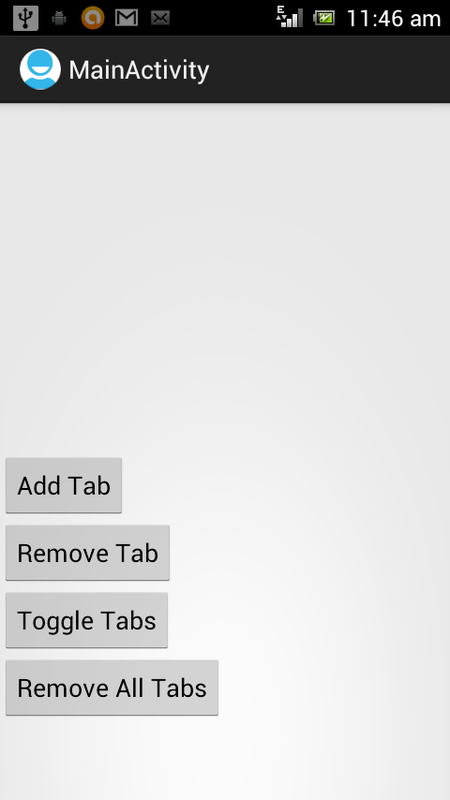 In today’s post I will show you how to add actionbar tabs dynamically, remove one by one , hide and unhide them, removing all tabs at once etc. This simple java code does that. First create a project and in the MainActivity, paste this. * are deselected, selected, and reselected. You may be getting many errors, we will be resolving all that in just a few minutes. Now create an xml named “action_bar_tabs.xml” inside the res/layout folder and copy this code into it. 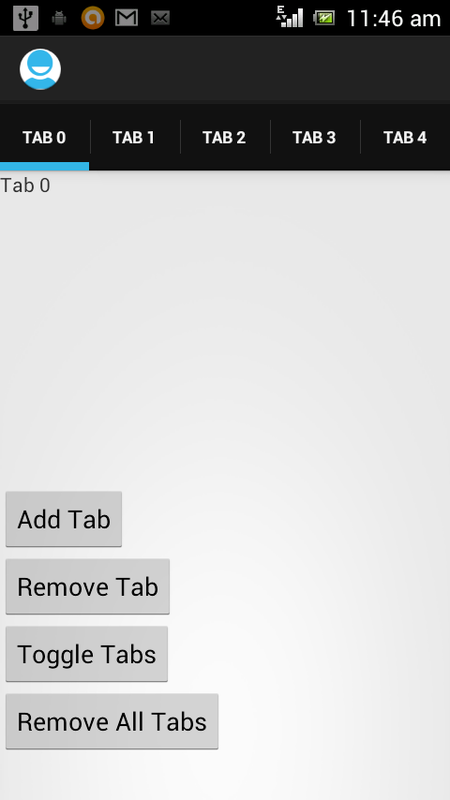 Now create another xml for the tab content and named it “action_bar_tab_content.xml” and copy this code into it. Sorry, but this doesnt work (test in Android 4.0.1). The app is closed when i click on any button. This works from 2.1. Please check the Logcat for errors and paste it here so that we can fix it.